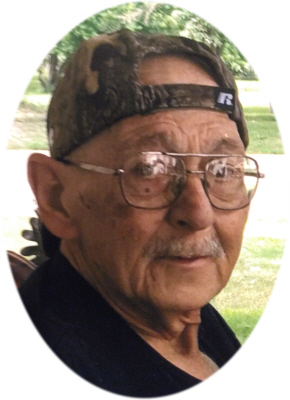 Larry D. Smith age 64 of Ithaca, MI, passed away at his home on Friday, September 7, 2018, losing his battle with cancer. Visitation will be held on Wednesday, September 12, 2018, at 11:00 a.m. with a Memorial Service at 1:00 p.m. at Smith Family Funeral Homes, Ithaca, MI, with Pastor George Showers officiating. Larry was born in Carson City, MI on June 11, 1954, the son of Frederick and Flossie (Elliott) Smith. He graduated from Ithaca High School with the class of 1973. On December 10, 1988, Larry married Loretta Mae (Shinabarger) Smith at Pine Grove Church, Montcalm County, MI. Larry loved to spend time watching his grandkids. He also enjoyed hunting and fishing. One of Larry's favorite things to do was to load the flat bottom boat into the back of his pickup, throw in the fishing gear and take off to Colby Lake. He retired from IAC, Alma, MI in January 2017. Larry is survived by his wife Loretta of Ithaca, daughter Ashley Smith of Chicago, daughter Jennifer Smith of Ithaca, 4 grandchildren: Skylar, Sean, Brooklynn, and Austin Smith. He is also survived by his siblings: Barbara (Roger) Hadley of Ithaca, Gary (Kendra) Smith of Ithaca, Terry (Rita) Smith of Pompeii, and Robert Smith of Brant. Larry is preceded in death by his parents, and sister Patricia Stamm. Memorials may be made to the family to help with Larry’s medical bills. Online condolences can be made at www.smithfamilyfuneralhomes.com. The family is being served by Smith Family Funeral Homes, Ithaca, MI.